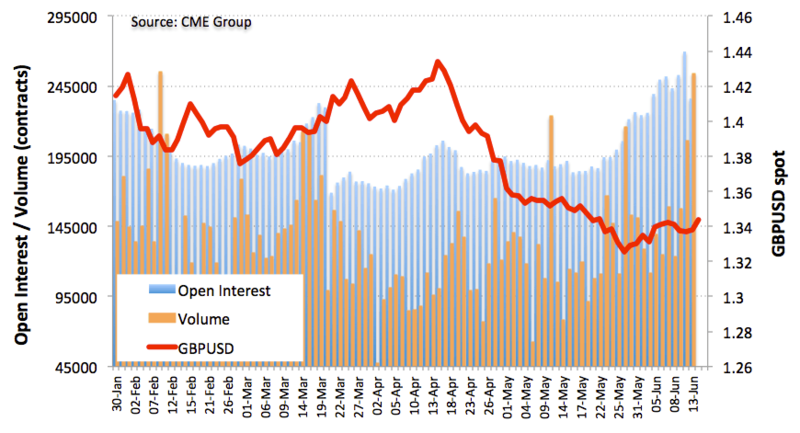 In light of advanced data for GBP futures markets from CME Group, investors trimmed their open interest positions by almost 33.5K contracts on Wednesday from Tuesday’s final 269,609 contracts. Volume, instead, extended the up trend and increased for the third session in a row, this time by around 48.2K contracts. Cable is up for the second session in a row amidst decreasing open interest and rising volume. The up move could stall near term, although the persistent increment in volume should allow for an extra push in the near term.